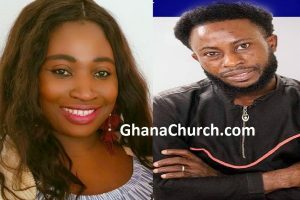 Report reaching GhanaPa.com through Delay show indicates that, Prophet Emmanuel Badu Kobi, the head pastor of Glorious Wave Church International, has said that it is not sinful to engage in lottery, trade in cocaine and drink alcohol, it has been reported before by other media houses. Whiles, the word gamble means “to risk something of value on an outcome that depends on chance.” Because the outcome of a lottery “depends on chance” and playing it involves “risk,” then, by definition, playing the lottery is a gambling. The Bible has no examples of a lottery, but it does contain instances of gambling: Samson’s wager in Judges 14:12 and the soldiers’ gambling over Jesus’ garments in Mark 15:24. 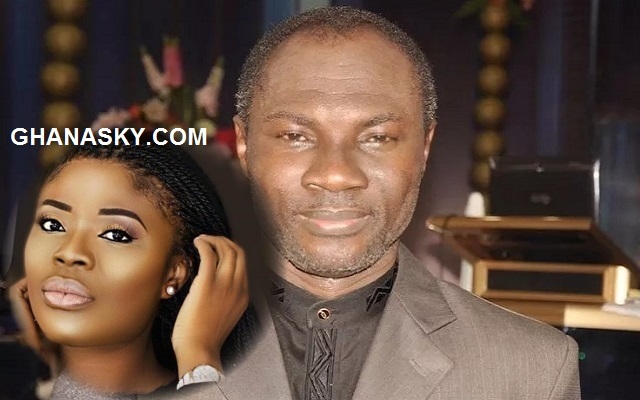 Prophet Badu Kobi said on delay tv show that, same people would engage in other forms of lottery such as American visa lottery, raffle draws and other promotions by companies. “I wish to state categorically that staking of lottery is not a sin. Pastors who go about demonizing lottery get it wrong because most of them even take part in several of such. Most of these pastors apply for the American lottery and enter into several raffles but don’t see them as sinful. Lottery is purely business just like any risk-taking business so it can’t be termed a sinful act,” he said. The Happy FM report also quoted the prophet as saying that dealing in cocaine is not a sin because the drug has some medicinal properties. He said to his knowledge some countries deal in it among themselves for purely its medicinal value. Prophet Badu Kobi said drinking some alcohol occasionally is also not a sin. “The bible doesn’t frown on drinking good wine.” the report quoted him as saying. Answer: The word gamble means “to risk something of value on an outcome that depends on chance.” Because the outcome of a lottery “depends on chance” and playing it involves “risk,” then, by definition, playing the lottery is gambling. The Bible has no examples of a lottery, but it does contain instances of gambling: Samson’s wager in Judges 14:12 and the soldiers’ gambling over Jesus’ garments in Mark 15:24. In neither case is gambling presented in a good light. The Bible also mentions the casting of lots for the purpose of decision making (Joshua 18:10; Nehemiah 10:34). And Proverbs 16:33 emphasizes the sovereignty of God: “The lot is cast into the lap, but its every decision is from the LORD.” But the biblical purpose of casting lots was not to test one’s luck or to gain material wealth. The main purpose of playing the lottery is to win money, and the Bible tells us what our attitude toward money should be. So often, riches get in the way of a man’s spiritual benefit (Mark 4:19; 10:25). Jesus teaches, “No one can serve two masters. Either you will hate the one and love the other, or you will be devoted to the one and despise the other. You cannot serve both God and money” (Luke 16:13). First Timothy 6:10 is where we find the famous warning that the love of money is the root of all kinds of evil. Playing the lottery as a get-rich-quick scheme is statistically futile, and it focuses the lottery player on the temporary riches of this world (see Proverbs 23:5). The fact is, God wants people to earn their money honestly by working hard: “The one who is unwilling to work shall not eat” (2 Thessalonians 3:10). We ought to gain wealth through diligence, as a gift from the Lord: “Lazy hands make for poverty, but diligent hands bring wealth” (Proverbs 10:4). Gamblers, including players of the lottery, typically covet money and the things that money can buy. God forbids covetousness: “You shall not covet your neighbor’s house. You shall not covet your neighbor’s wife, or his male or female servant, his ox or donkey, or anything that belongs to your neighbor” (Exodus 20:17; see also 1 Timothy 6:10). One of the world’s lies is that money is the answer to life’s problems. Even more, People are lured into playing the lottery with promises that their lives will improve if they can only hit the jackpot. If they can just get lucky with the numbers, their problems will disappear. Such hopes are empty (see Ecclesiastes 5:10–15). So, we would do well to be cautious about playing the lottery. There are many better uses for the money spent on a ticket, and we must guard our hearts against covetousness and our lives against addictions to gaming. Buying a lottery ticket here and there may not be a sin, but greed is. Those playing the lottery must prayerfully examine their motives and, if they continue playing, do so responsibly and only in moderation.